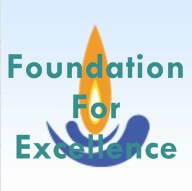 Foundation for Excellence Scholarships is offered by Foundation for Excellence, Bangalore to the meritorious students who belong to economically weaker families of India. The scholarship is given only for pursuing B.E./B Tech, Integrated 5-Yr Dual-Degree M.Tech and MBBS. The Foundation for Excellence Scholarships is granted to these students who despite hardship in the family have secured Top Ranks in National/State level common entrance tests and have secured admission into renowned Engineering and Medical institutions of India. To pursue higher education in India, the Foundation for Excellence Scholarships provides financial and other assistance to students. The scholarship is being offered to exceptionally talented students irrespective of caste, community, gender or race to which they belong. To avail the benefits of Foundation for Excellence Scholarships, the candidate must be studying the course permitted by the foundation and should fulfil the eligibility requirements. Candidate must be studying only professional courses like B.E./B Tech, Integrated 5-Yr Dual-Degree M.Tech, and MBBS/BDS. Candidates must have passed their Class 12 or equivalent examination from a recognized Board and should not have secured less than 70% marks. For students joining the IITs, the selection cutoff criteria will be the total marks scored at the JEE Advanced by the last ranked General Category student admitted. Applicants admitted based on National Level Tests like AIPMT/NEET (Rajasthan, Madhya Pradesh, Delhi, Odisha, Haryana, Himachal Pradesh, Manipur, Chandigarh, and Meghalaya), and AIIMS, BHU PMT, JIPMER, etc., will be considered on the basis of their relative Merit Marks and Ranks in the respective Entrance Tests. Selected candidates will be provided financial and other assistance. Applicants have to apply online for the Foundation for Excellence Scholarships 2017 online only. Applicants have to follow the link given below to fill the application form. Step 1: Candidates have to fill their basic, academic and entrance exam details in the given columns. Candidates will be selected on the basis if fulfillment of the Eligibility Criteria. FFE Facilitators will get in touch with the selected candidates to advise them on the further process for applying for a Scholarship.